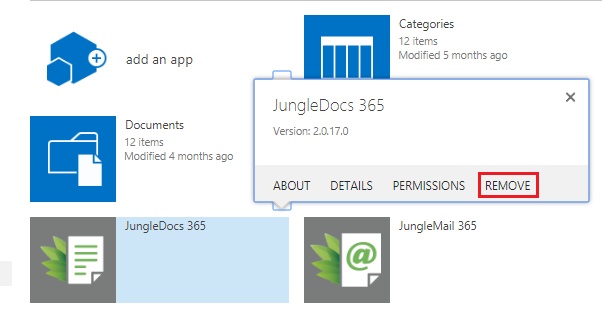 You added JungleDocs 365 to a site, but the app is not showing. The app was not added correctly. 2. Remove JungleDocs for Office 365. 3. Add JungleDocs for Office 365 again. The app should now be visible.